People who run e-commerce sites – sites that are focused on making sales of a product – have a history of great difficulty when it comes to search engine optimization. 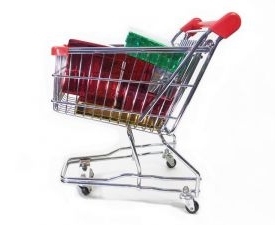 We are told to build links to improve search engine rankings, yet why would a person link to a site that is essentially a glorified shopping cart? One of the most common ways that e-commerce store owners have gone about an SEO campaign is to add a content component to their site, hoping to attract links for the content, which in turn will raise the overall ranking of the entire domain. Unfortunately this tactic tends to impact the ability of the e-commerce site to do what it is meant to do – make sales – because the addition of content creates a “mixed message”, confusing visitors and reducing conversion. Search engine traffic can be the difference between success and failure for many e-commerce sites, and since it’s free traffic, there isn’t a single store owner out there who wouldn’t want to capture top rankings. Many millionaires are created because of their ability to optimize for product related search terms in Google, Yahoo and MSN, so what is the secret to their success? In this article I’m going to demonstrate one technique, a fairly extensive technique – a secret weapon – that search engine optimizers use to help one main site dominate rankings for both top level keywords and long tail phrases. This is powerful stuff, so if you own an e-commerce store or any website that you want to rank number one for a specific term, it’s time to pay attention! Note I can’t take full credit for the ideas in this article. Most of what I am about to present to you comes from education I’ve gained from expert sources, such as the team at StomperNet, who have an automated system for their members to work together to implement what I am about to teach you, and also various presentations I’ve watched on DVD and in articles I’ve read at blogs, websites and in ebooks. This is my interpretation, simplification and summarizing of what other people are currently teaching and implementing online today to raise their search engine rankings. This is cutting edge stuff – you won’t find too many people revealing techniques like this because they don’t want their competitors taking advantage. I hope no one comes after me after revealing this to you 😉 . Before this article is going to make sense to you, you need at least a rudimentary understanding of search engine optimization (SEO). I suggest if you have not read my two part series on the you go do so now. The articles will introduce you to some basic SEO principles, including a discussion of (internal elements of your website) and (external elements – other websites). Off-page SEO is generally considered more difficult because you have to manipulate elements that other people control. It centers around your ability to generate links pointing to your site and this article specifically deals with how e-commerce sites can build high quality incoming links to raise rankings. One of the key determinants of high search engine rankings is not just the number and quality of the links pointing to your site, but also the theme – the neighborhood that these sites live in. When talking neighborhoods online it’s all about categorization and niches. Your ideal outcome is to have sites that are relatively well ranked in related categories link to your e-commerce site, but as stated previously, there are not many enticements for a person who owns a niche content site to link an e-commerce site unless they are financial (paid links and affiliate programs). If SEO is to work, links should be natural. It’s well known Google frowns upon links purchased purely for SEO sake and in most cases affiliate links do not pass on because of the structure of the links (although some affiliate programs have figured out ways around this). Your goal if you want to push your e-commerce site up in the rankings, is to obtain links from sites in your neighborhood using organic methods. Advanced search engine optimizers conduct a process known as clustering to attract neighborhood links. To put it simply, clustering is a process were you own the neighborhood, but the search engines don’t realize it. To establish a cluster you first have to build category-specific content sites, each existing independently and “owned” by an entity not related to your e-commerce site. There can’t be any public linkage between your e-commerce site and the niche content sites. That means all public information – domain records, company records – anything that a search engine could get a hold of and then realize that your e-commerce is related to the niche site, thus reducing the SEO value of links between the sites. Here’s an example. If your e-commerce site sells gym equipment, then you could build a series of niche sites focused on topics like how to build muscle, dieting, strength training, athletics, sports, competitive weight lifting and other similar sites. You can branch out into niches that are not quite as specific as my examples, as what is considered in your neighborhood is quite broad. Topics such as male hair loss, dating, gay communities and other demographically related niches work too, as long as the theme is generally congruent. Remember, this is not specifically about attracting traffic to your e-commerce site from the niche sites. While click-through traffic from your niche site neighborhood is certainly an added advantage, your goal here is to build up quality niche sites and use these to send links to your e-commerce site. It’s critical to note the importance of one way links. Reciprocal linking has long been a beginner SEO technique, but frankly it doesn’t work, especially if your end goal is to dominate top level keyword phrases. If you want to rank highly you have to attract one way links from authoritative content sites and that’s exactly what this technique is all about. If you can’t convince others content sites to link to your e-commerce site then you have to create content sites yourself and send links from these sites to your e-commerce site. Clearly this is not a task that can be accomplished in a matter of days or even weeks. You can outsource the creation of your sites and the content for the sites and then upload them to the web, but that is only half the equation. Next you have to build the niche sites into authority sites by attracting links to each niche site (yes there is a lot of link building in this method!). The next step in the process is to go to work using all the usual tools of the trade to build links to your niche sites. Since each site is built on a niche content model, it should be easier to attract links. People link to content, not products in a shopping cart (well in most cases anyway), hence this is why you go to all the trouble of building completely independent content sites. Given today’s social media dominated world, I would recommend using blogs for the niche content sites, build them up over time and then use them as the linking power source for your e-commerce site. And all the usual linkbait techniques out there. Some techniques are easy and can be automated, some take more time but bring in higher quality links. 1. Hire a professional blogger to handle each niche site and have them build up the site over time using as many of the techniques he or she is capable of implementing. This can be a costly option, but you only have to deal with one person per niche site. 3. Outtask to individuals to perform each marketing technique – This method is more specialized as you have one person, usually a freelancer in a country were the cost of labor is cheaper, perform each task. You hire someone to write articles, one person to do article marketing, another to post in forums, etc. There are also outsourcing companies that will perform these roles for you for a fee. It all depends what systems you are prepared to work with and how much time you want to spend managing everything. If your e-commerce site is significant in scope and a few number one rankings would mean hundreds of thousands or even millions of dollars in sales, then hiring a person to oversee the development of your cluster network is a smart idea. Now you have the basic structure of the cluster neighborhood method for optimizing a website. The next step is to go work and replicate this process many hundred or even thousand times over. If you want to dominate the search engines in a competitive industry – and most product categories are very competitive and will become more competitive over time – then your cluster network of sites must be extensive. If your e-commerce site has many thousands of one way links from niche content sites perceived by search engines to be sites of quality, then it will be hard for the competition to beat you. Top level keyword phrases can bring to your e-commerce site thousands of daily visitors and despite the obvious work involved in establishing so many niche sites, the benefits are obvious. Remember too that this is not a technically challenging venture, you simply need content and marketing. Automated processes can be set up to implement content creation and marketing for you and if you manage a serious online business, this is a process that you should expect will become mandatory for success online. The techniques in this article represent an opportunity for any budding entrepreneur who would like to help e-commerce businesses conduct SEO. Every step of the cluster site building process could be completed by an outsourcing service or business. You can build niche sites for companies and/or conduct online marketing for the niche sites, delivering a comprehensive search engine optimization service. Combine niche-site creation with savvy link baiting methods and you have the formula for an industry leading search marketing firm – of course, that’s easier said than done! One thing is clear, simply attracting links to one site may not be enough in the future if you want to dominate search results. Companies will go to work building huge networks of content sites that exist purely as anchors to help raise the profile of a few key income generating sites. 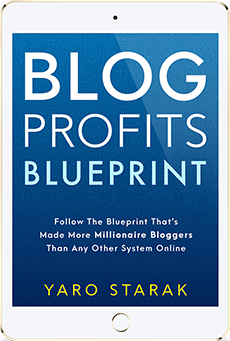 This does represent a fantastic opportunity for people who own niche sites as they may become the target of buyouts regardless of whether their sites are profitable or even revenue producing. Wow, that’s quite an article! You didn’t mention whether or not the individual niche content sites would be monetized. If the purpose is simply to drive links for seo purposes, and not for direct traffic then monetizing the sites themselves could well offset the cost of the outsourcing. One question – what is Content Seeding? This is a rather informative article, but is it really worth the time and effort to implement plenty of niche content sites just to provide a link back to the ecommerce site? In addition, entrepreneurs who work alone will not have the resources and time to do all this. Thanks for giving great info. You have given unique information on SEO. @Damien, this really isn’t aimed towards entrepreneurs who work alone. In the article Yaro talks about outsourcing and even hiring full time staff to do some of the work. I don’t think you’d try to implement all of this if you work alone. Does Google actually object to these content neighborhoods? As long as they contribute quality, relevant information to Google user searches, I don’t see what the problem would be for Google to know that you own all the sites. Of course, this is just my reasoning, I really don’t know the facts 🙂 Thanks for the tips! Wow, Great Article Yaro !! so technically . nicely of 3 methods. Now, I’m already using the first method ( Hiring people ).after all it’s working even thought I’m just a College student. in fact it’s so important for Entrepreneur for not to be self Employee(One Man Show). I have read quite a few neighbourhood/network site ideas recently. Are you planning to produce a more in depth article as I have a few questions. All on the same server? Unique IP’s? Surely this would work out expensive, is the expense worth it in terms of Rankings in your opinion considering some networks host and interlink to each other on the same server/ip. Do you have any examples of such a neighbourhood? I think notepage have a bit of a thing going on, they have a small network. For example rss-specifications.com (more links at the bottom of the page) all point to notepage. They seem to be buying up related sites. Thanks for the great tips. I’m helping my 7 year old son grow a lego business. His ecommerce site is an aStore at , and his niche lego blog is at . We’ve had the site up for about 2 weeks, and have over 1500 video views. The challenge now is to convert people to the astore, where we have yet to make a lego sale. Your tips are helpful. So I think right now, I should create links that go directly to buy-legos.com from related toy sites. As a web designer who wishes that every website I design can be be easily found through the search engines, I find this idea attractive. There is a problem, though, in that not all clients are willing to pay for the effort and time to be spent implementing this approach. But I suppose I could ask them to do it themselves! Great article Yaro with lots of information. It’s a real challenge to be able to dominate the search engine rankings, in the way you described it. I have looked into a similar idea such as the one you laid out here, the problem being that the amount of effort it would take to build up the niche sites outweighs the gain that you might see from 10-30 links that they produce. Here is the solution I cam up with. 2.) Gain traffic and page rank like you suggest. 4.) Offer a three-way links exchange where your link partners get a write-up on your popular SEO-authority blog in exchange for one measly link somewhere on their site. 5.) Rotate between the 2 or three blogs to make the linking structure look natural. 6.) Repeat the process using the same blogs with pages on your site that need deep links. 7.) Watch the rankings come rolling in. I know that the three way links exchange works. I have ranked competitive keywords with it before, but getting link partners to exchange links with you for a link on a third party links page doesn’t have the same impact as the traffic a site may get from a write-up on a popular blog. Hugo – Yes I like the three way link exchange system too, however I think the clustered neighborhood model is stronger, albeit more difficult to set up. This really is a system for a serious e-commerce business to set up. The cost doesn’t have to be extravagant but the energy required to organize it is. Then again you could just hire someone to handle it all for you – even the part about outsourcing the marketing. It’s not something I would do, but I bet a lot of e-commerce site owners would if it meant a number one ranking for their top phrases. @Caroline – Content seeding is pretty much just writing guest content or going to site owners and asking if they will publish your content with a link back. And yes of course you could monetize your niche sites, I think AdSense is a common choice, but you just have to be careful you are not driving people away from your e-commerce site to a competitor’s site – kinda defeats the purpose. @Chris – It does matter that Google doesn’t see any linkages between the two sites. You are right in principle Google shouldn’t have a problem with a ranking a quality niche site, but if they see patterns designed to enhance the ecommerce site’s ranking they are likely to penalize. It’s hard to second guess what Google might do, so it’s best to disassociate sites. @textadsearch – yes, definitely different ips, preferably different servers on different c-classes altogether. This has to be completely separate. Consider that a top ranking for an e-commerce site might mean an extra $100,000 in sales per month, it’s worth making the effort – e-commerce is BIG business people! I don’t know of any examples of such neighborhoods because obviously the owners are not broadcasting the fact that they are implementing this technique for fear of losing rankings. I have a bodybuilding site as an affiliate but I do not have an e-commerce site. I get decent traffic now but not a lot of income from affiliate products, would you suggest building my own e-commerce site, maybe on supplements for instance? And if so, how would I go about setting an e-commerce site up, ie. buying products to sell etc. Or could I use a dropshipping service? Hi Fastest Way – I suggest you consider doing everything said, if you can. The more content and links to that content you can generate, the more traffic you will attract and thus the more affiliate sales you can make. It really depends what your resource allocation is like and what strategy your are following. With the internet industry’s exponential growth, a lot of people are starting to make their own e-commerce site. Try to look at Multiply.com, a social networking site. A lot of Filipinos are starting to create their own businesses there. However, their network building strategies are all about adding different contacts BY THE BULK. they just add and add and add people, even if they do not know them. A good article – no doubt. But dont try to follow it if you dont have the necessary manpower and time to devote. It takes ages to gain authority status in a niche these days (unless you already have a authority status in some niche to being with!) – leave alone creating multiple authority sites. You are probably better off buying links ‘under the rader’ so to say. Paid links work like a charm if you know how to get them without being out in the open. Yes paid links work like a charm but they are paid. Now a days you really need to know your stuff! I think longtail traffic is key.. but we also have to offer something to the www universe.. I would like to add more on reducing download time of your site by compressing images without deteriorating their quality, getting back links from authority and trusted sites, sell unique products and services, write convincing sales copy, use easy payment options, give out free bonuses but quality ones and not rubbish ones. google Just now said that Website size will now have a influence on site rankings. Some really good suggestions on how to move your site with Link wheels, its funny some of the things that people say are so new are just standard web techniques. For 2 years I’ve been working diligently at work doing these kinds of tactics – believe me, they work. The involvement of blogging, article marketing and building a community alone has seen a significant rise in sales over the years and a great reduction of advertising costs. What’s great about doing this kind of work is it teaches you amazing skills to take away toward your own business in the future. I found some really precious information here. Lately I had been experiencing some serious difficulties in optimizing an E-Commerce website. This post helped me in clearing certain puzzles. Thanks a lot 🙂 lovely post! Great stuff Yaro. I have also subscribed to stompernet for six months and I must say their information are great and very useful. SEO is one of the best traffic generation methods that all websites should harness. Yaro, great advice on how to optimize an ecommerce site for top search engine ranking. Assuming this is done correctly, how long does it take to optimize the site before you start getting decent traffic? you have posted descriptive steps and information to optimize e-commerce website. generally, it’s difficult to get top ranking in search engines for e-commerce website. I have not heard about this SEO tactics before. thanks for sharing this informative post. Nice post there… I kinda agree with about outsourcing, hiring a professional blogger or buying an authority site cos one can not effectively do this alone. The three option you suggested above are okay cos but it comes with a big price…though it worth t because the income it will generate after will outweigh the amount spent in kick-starting the eCommerce. Thanks for this eye opening rich post. I am surprised – after 4 years, your content is still fresh and useful. Thanks! Thanx for this article. The tactic you are talking about is called linkwheel. Your post date from 2007 but now i’ve read that this technic is not efficient anymore. Do not hesitate to confirm.